Find your shape sorter and learn from it! I saw a post on a social media site that was some kind of a rendition of the shape sorter. You know, the toy where toddlers put a plastic shape in a hole that has the same shape? Well, in this pic, someone was trying to put a suitcase in an overhead bin on an airplane. The suitcase was clearly too big, and the person was struggling, trying to force it in the bin. The caption read, “Someone didn’t play with the shape sorter enough.” This post, while humorous – and yes I giggled about it – sparked some other thoughts for me. 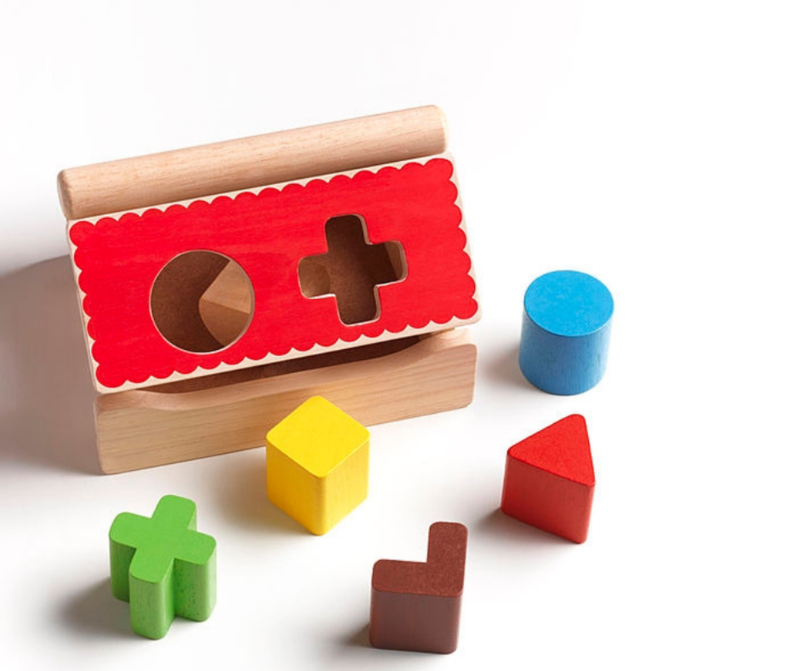 I started to think about the purpose of the shape sorter, why we use it here at OB, and the lessons it can teach us, even now as adults and leaders. In fact, we think about purpose a lot here at Optimal Beginnings. When we design a treatment for one of our patients, the tenant at the forefront for us is, “What’s the global connection?” In other words, what is the purpose of this activity? What is this toy teaching a child that she can use functionally for the rest of her life? The skill that the shape sorter teaches our kids is spatial relations. Can the square fit in the circle? Will the circle fit in the circle? Can x fit in y? Even as adults now, we use spatial relations in lots of ways every day. Take driving as an example: will the car fit between two other vehicles when changing lanes? Or, when you’re walking through a doorway while carrying a box: do you need to change the orientation of the box to fit through the door? The infamous shape sorter teaches us a myriad of other essential lessons, too, like flexibility in thought, reasoning, and yes, even leadership. Did you raise an eyebrow there? Yes! The shape sorter teaches us leadership – just not in the way you would usually think about it. Personally, the primary way that I find myself leading, a la shape sorter, is by looking at the skills and interests of those around me. I think of them as shapes. Are my colleague’s visionaries? Are they detail- oriented? What kinds of tasks do they like to do? Are they more successful with open-ended projects or terminal projects? All of these are shapes that fit into specific holes. In my experience as a leader, you must possess flexibility of thought to twist and turn the “shapes” to fit into their proper places to maximize our potential. I practiced a lot of reflection and analysis of the people and positions around me. OB was, and continues to be, my grown-up version of a shape sorter. I had some circles that I tried to fit into the star-shaped holes and some triangles going into the diamond-shaped spaces. It felt a little off. Taking time to reflect and adjust the shapes around us made sense. And even better – made for more productivity and happiness in our workplace. When my employees were doing what they enjoyed, their productivity increased. We worked hard on setting up our employees for success, matching their traits and skills to a role ideal for them. 1) Slow down, especially when it comes to emotions. I made it a goal to try to separate emotional response from logical responses throughout the year. This served a GREAT purpose and avoided some significant mistakes. 2) Pay attention to what you are telling yourself. Our thoughts can demoralize and derail us. Remind yourself how you’ve overcome adversity previously. Write it down if you need to, or repeat it to yourself. 3) Keep it in perspective. The vast majority of times when uncomfortable situations arise, everything will be okay. Have gratitude for what you have and where you have been. What would you tell a friend in the same position as you? 4) Take care of yourself. Being physically, emotionally, and spiritually healthy improves our disposition and outlook on life. Spend time with others, be sure to exercise, and practice reflection and gratitude. I hope this post, and my four tips, will come in handy for your New Year!. From our beginning and even now, I’m still working on these tips myself and will bring them along with me for 2019. At the end of the day, continue to practice with your shape sorter, just as OB continues to be mine. I would love to know what your shape sorter is, and how you’ll use it to learn lessons of leadership. Comment below or send us an email.